Here is a graphical presentation of coast lines of all countries. Surprisingly, it can be observed that the warships of different countries are not proportional to their coast lines to defend. Click the maps below for interactive display of information. 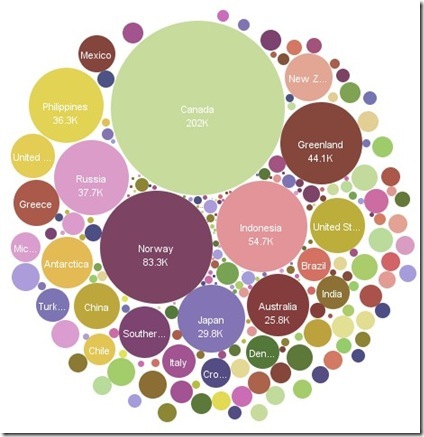 Here is the presentation of coastlines on a Bubble Chart. Here is the presentation of coastlines in World Map.